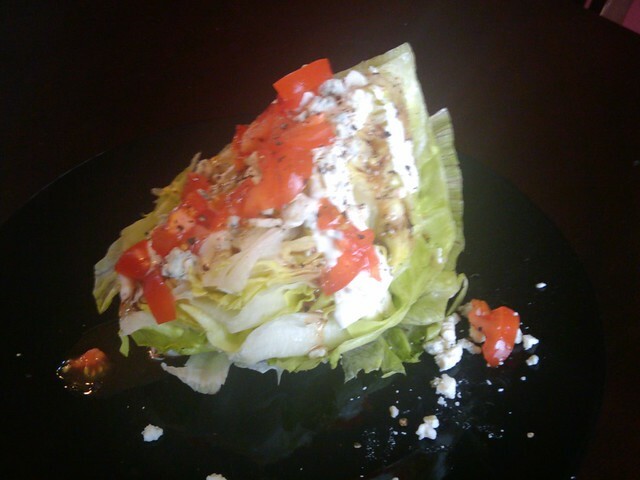 Wedge salads make really weird hangover food... but its soo tasty. This looks really good. What is it? i guess i should have been more specific: what are the ingredients. haha, i figured... i just wanted to be a jerk. cut a head of lettuce into quarters, add a balsamic dressing, a bit of bleu cheese dressing, bleu cheese crumbles, tomatoes, and black pepper. make sure you add the dressings when it's upside down like this so they pour into the layers of lettuce.